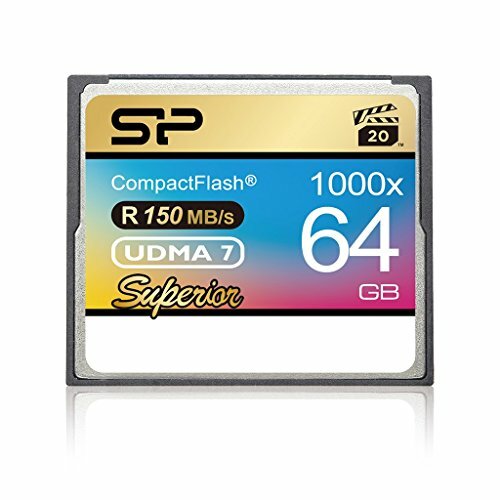 64GB Silicon Power Superior CompactFlash 1000X Speed (UDMA 7) by Silicon Power at Pacs BG. MPN: 4712702626667. Hurry! Limited time offer. Offer valid only while supplies last. High-speed CF card from Silicon-Power's Superior range, with a speed rating of 1000X and transfer speed up to 150MB/sec (read) and 80MB/sec (write). High-speed CF card from Silicon-Power's Superior range, with a speed rating of 1000X and transfer speed up to 150MB/sec (read) and 80MB/sec (write). Designed for high-end DSLR cameras and includes support for UDMA7 and PIO models.